“[A] Palestinian posing as a journalist wounded an Israeli soldier with a knife before being shot dead near the West Bank town of Hebron, the Israeli military said. Reuters television footage showed the Palestinian rolling on the ground and surrounded by Israeli troops after the attack. He was holding a knife and wearing a fluorescent yellow vest over a t-shirt marked “PRESS”. The foreign press association in Israel and the Palestinian territories said it deplored the attack and called on Palestinian media organizations to verify all staff credentials. 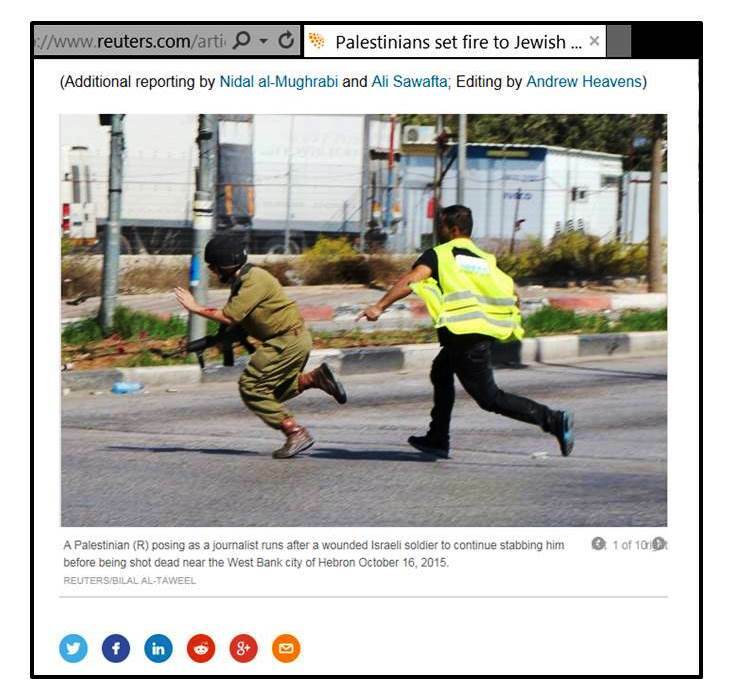 The Reuters report on the incident included a photo by Bilal al-Taweel with the caption: “A Palestinian (R) posing as a journalist runs after a wounded Israeli soldier to continue stabbing him before being shot dead near the West Bank city of Hebron October 16, 2015. The same photo was shared on Facebook by Quds News without any context, and proved extremely popular because it seemed to show an unarmed Palestinian chasing an Israeli soldier. Twelve hours after it was posted, it had garnered more than 23,600 “Likes” and had been shared almost 12,000 times. 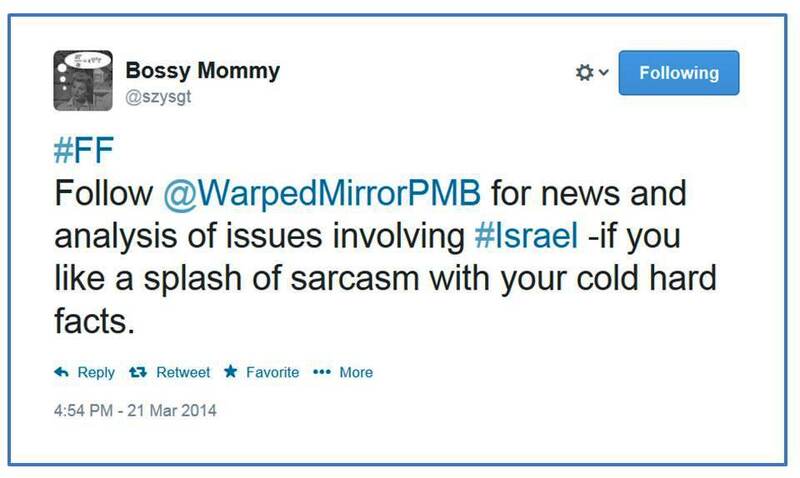 In case Quds News regrets this deplorable post, the page has been archived here. Perhaps next time Al Jazeera gives Ali Abunimah a platform to air his views, they could ask him why he cheered this abuse of media credentials that are meant to protect staff working in conflict zones. No doubt Abunimah will come up with some excuse, and of course his sympathies for terrorism have not been a secret. 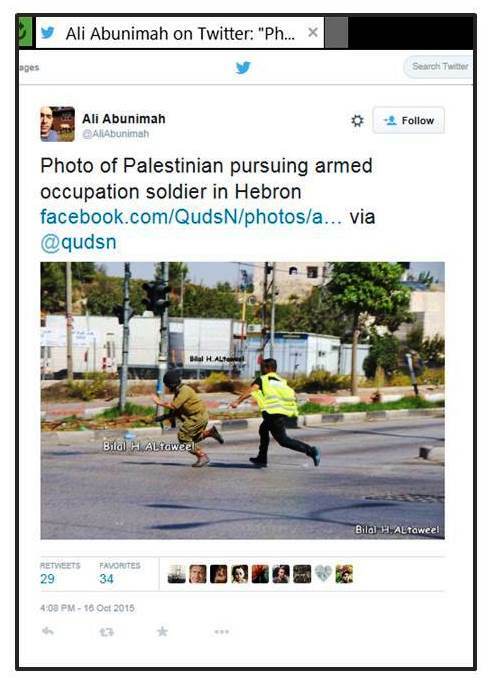 This entry was posted in Uncategorized and tagged Ali Abunimah, media, terrorism. Bookmark the permalink. Please contact Bing.com news & Google.com and tell them that Electronic Intifada should NOT be included in the News section. There is a feedback link on the bottom of their pages where you can send this suggestion.